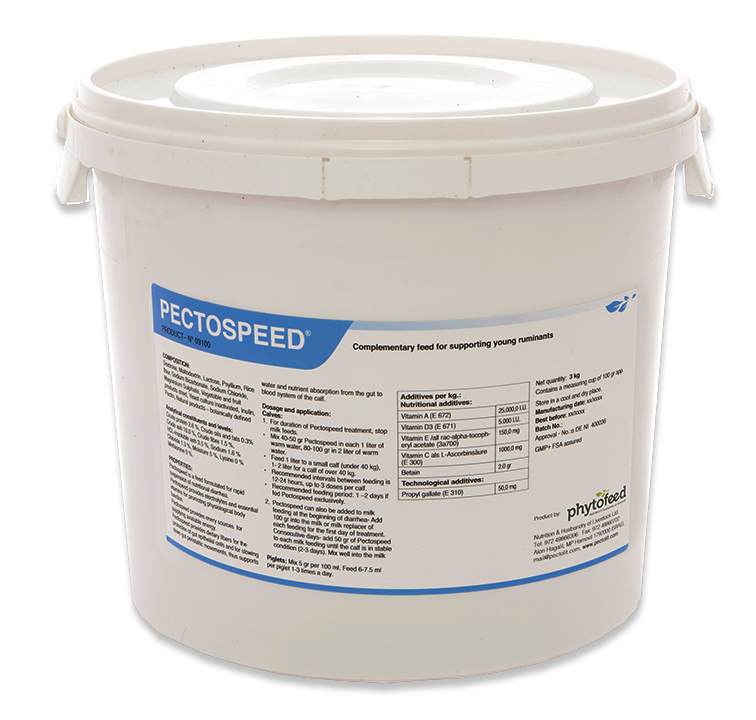 Pectospeed is a complementary feed aimed to rapidly stop diarrhea. It provides electrolytes and essential vitamins for promoting physiological body function. Pectospeed also provides enery sources for supplying energy and dietary fibers for the protection of gut epithelial cells and for slowing down gut peristaltic movements, thus supports water and nutrient absorption from the gut to blood system of the calf. The components of Pectospeed promote the digestion of the calf.